Kid’s room decoration is a funny task and at the same time it shouldn’t be expensive. 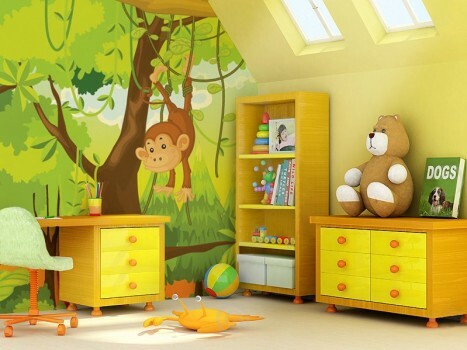 The wallpaper patterns are the best way to enhance the beautiful and funny look for your kid’s room. They are also cost-effective and thus they provide a good cost solution to fit everyone’s budget. Don’t ever think that wallpaper is an old design; it becomes now as popular as modern and stylish decoration. There are many benefits of using wallpaper for your kid’s room. 1) It is so easy to install, 2) The ability of decorate any shape of room and make it beautiful, 3) Don’t require much maintenance, 4) durable and washable. When talking about kids room decoration, so you should choose the wallpaper which reflects your kid’s personality or suit the kid gender. There is no doubt that colorful wallpaper is so great for kid’s room whether boy or girl. There are various colors and themes of wallpapers. 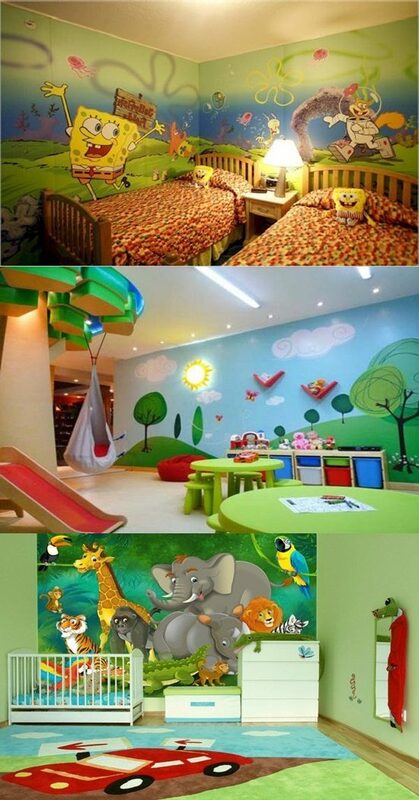 You should choose brighter color and patterns to lighten the kid’s room. The wallpaper companies now invent new childish designs. If you want a preppy look you can go for a striking tartan pattern. This pattern design comes with different colors and can grow up with your child. But if you want a girlish look you can go for the floral wallpaper which comes in different colors and patterns. There are also some wallpaper theme if you want to follow the common style way. For a boy kid, you can pick some wallpaper shape pattern like car, plan or train pattern, sportive theme, animal theme or dinosaur pattern. While for a girl child, you can select some girlish patterns like princesses, fairies or some stars patterns. But if you want to be innovative you can make your own wallpaper patterns by adding some of your kid’s photo stickers. The key element to manifest your wallpaper clearly is the light. So pay attention to the wallpaper color and pattern’s view in the different lights “sunshine or artificial light”.